Apparently December is ALBUM MONTH! I had the great privilege of singing on composer Jeff Ball's beautiful Valour of Athena track for Twisted Jukebox's album of epic trailer music that features solo female vocals. I recorded the track back in the spring when I had a nasty cold, so if you dig the breathy quality, the secret is: bronchitis! ;-) Jeff is one of my favorite composers to work with, and in this track his sense of drama and emotional build really shines. I really enjoyed listening to the other tracks on this album as well, such a wide variety of beautiful, inspiring female voices. Check them out! Yeah ladies! GIRL POWER! And even better: Jeff's track was already licensed for a trailer a few months ago! Check it out below :) Congratulations Jeff for your first trailer placement!! Hope you check out and enjoy ALL of the tracks on this great bonus album as we ring in the new year! 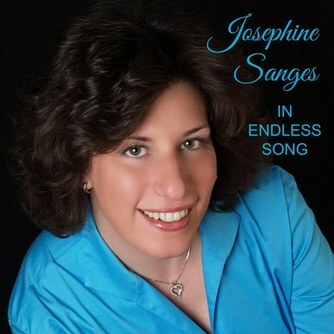 My good friend Josephine Sanges has put up two of her albums for download on Loudr.fm! In Endless Song, an album of faith-inspired music, was actually recorded in 2013, while Color Me Blue, a compilation of intricately arranged American jazz standards, was her project in 2014. Each deals with a different genre of music, but both perfectly showcase Josephine's crystal clear vocals and pianist/arranger John Cook's creative arrangements and intimate piano performance. I contributed on flute and background vocals for a few tracks, and I couldn't be prouder of my friends Josephine and John for working so hard on such difficult arrangements. This was one of the most fun projects I've ever worked on and I'm so excited that they can share their talents on Loudr! Our sold-out November performance was so much fun, we're doing it again! ;-) Josephine Sanges will be putting on another concert at the Metropolitan Room in NYC, featuring the music of her newly-released album Color Me Blue. I'll be pitching in on flute again, and I can't wait to play John Cook's amazing arrangements of American jazz standards and musical numbers. If you missed the last performance, make your reservations now before the room fills up! $20 cover and two drink minimum. Hope to see you there! Congratulations to Video Games Live for achieving its Kickstarter goal! The album will officially be recorded this December in Prague, for a release next year. There are still a few days left to pledge, and Tommy has just posted an update with mock-ups of a few tracks from the albums, including Jillian Aversa and zircon's Legend of Zelda arrangement, Cave Story, and my own Donkey Kong Country arrangement. Super pumped to hear all of them recorded with the live orchestra! 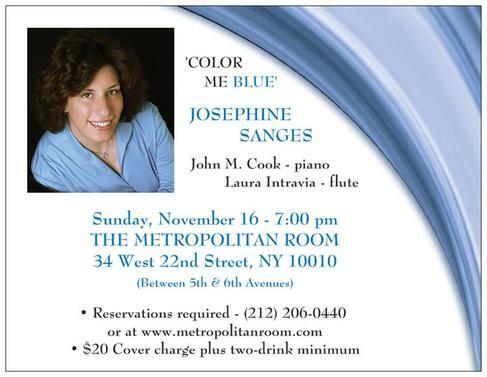 Josephine Sanges' live show at the Metropolitan Room this Sunday is sold out! Josephine is through the roof with excitement, and so am I! If you missed out on tickets this time, please consider calling the Metropolitan Room reservation line anyway--they do sometimes get cancellations, so you might get lucky ;-) Thank you to everyone who is coming out to the show, it's going to be a great time! Super pumped to perform with my good friends, singer Josephine Sanges and pianist John Cook! Josephine and John are releasing their jazz album Color Me Blue in November, and they're kicking off the release with a live show at the Metropolitan Room in NYC. I'm very honored to be performing flute on a few numbers, but the real star of the show is that lady in the photo! ;-) $20 cover and two drink minimum to hear some creative renditions and mash-ups of great jazz standards, don't miss it! 2) You must "see" every sound (no hidden sounds). Video Games Live is back at it again with a new Kickstarter for their fourth album! I'm very excited about the work I'll be contributing to the album this year, including orchestrating my Donkey Kong Country EWI segment and a Chrono Trigger/Chrono Cross piano album as a special reward tier! :) Check out the video for more info about the project and how to donate. Best of luck to the VGL team as they get this party ball rolling! Within a few hours of the album going live, the Harmony of Heroes official website received over 100,000 downloads and subsequently crashed--but it is back up and running and ready for download!! :) Have fun and enjoy the music! ﻿I am so thrilled to share an interview I did with Emily Reese from Top Score! I am such a huge fan of this MPR show, it's dedicated entirely to video game music and it is a huge honor to have gotten to sit down and chat with Emily about my life and career. It's one of the most comprehensive interviews I've ever done, I hope you enjoy! Listen above or check it out on the official MPR website. Great ready for another edition of Pokemon: Symphonic Evolutions! Looking forward to performing this Friday September 19th at the Mann Center in Philadelphia, PA. I've seen a few shows at the Mann, but this will be my first time ever performing there. Super excited!! Tickets are available at the Mann Center website. Hope to see ya there! Pika pi!! 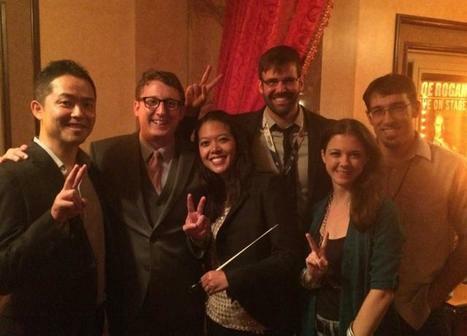 The world premiere of Pokemon: Symphonic Evolutions was a rousing success! The audience was fantastic, maestra Susie Seiter did an incredible job leading the orchestra, and special guest Junichi Masuda appeared on the podium to conduct his beautiful piece "Kiseki"--the list of special moments just goes on and on. The PokeTeam and I had such a blast at both shows this weekend; what a fantastic start to what promises to be a world-wide touring experience, Thank you so much to the entire team for inviting me to sing, and thank you to the amazing audience for coming out to the show! Pikachuuuu! 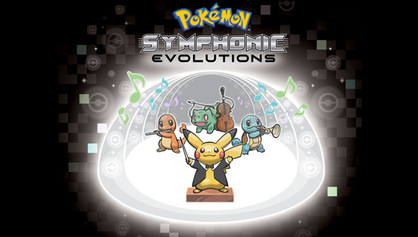 I'll be getting back on the stage with the all-new official Pokemon concert Symphonic Evolutions! I'm very excited to be working with the same team of arrangers that put together the fabulous Symphony of the Goddesses Tour--they've really outdone themselves turning the music of Pokemon into a symphonic experience for the whole family to enjoy. I'll be performing some real fan favorites from the series, so I expect all of you to join in and sing along! ;-) The Friday Aug. 15th concert is sold out, but there are still tickets available for Saturday. Hope to see you there! Pika pi! This was so much fun to sing, and Rich is super fun to work with; huge thanks to him for inviting me to sing on his awesome track! I hope everyone enjoys it, we sure enjoyed putting it together! 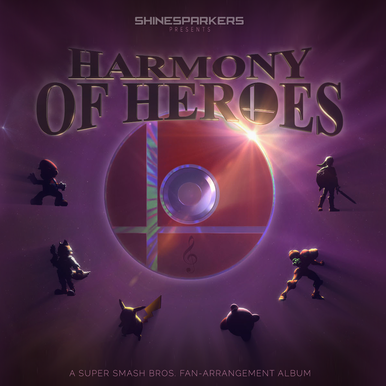 Coming this fall, the enormous and enormously AWESOME Harmony of Heroes album has just released their second preview trailer! It's official: this album will featured over 90 tracks by 60 musicians--the largest fan album ever created! I've contributed to several tracks on this album, including Reven's "Waiting for Sunrise" featured in this trailer. I just can't wait to hear the rest of the album and experience all of the different interpretations of these iconic video game music themes. Over the next few months, Shinesparkers will be putting out samples of tracks, hi-lighting each artist who has worked on this project. Check back here or at the Harmony of Heroes Facebook page to get frequent updates, and check out the HoH official website to download cool artwork made by the talented art team! I KNOW I DID!! Laura Intravia's First Single Released! So so so excited to be sharing this :) "You Were There" from Ico has been stuck in my head ever since the first time I heard it, and I'm very happy to release it as my first official cover single!! "You Were There” is a calm, meditative song featured at the end of the imaginative action-adventure game Ico; I wanted to interpret it with a more dramatic twist. Huge, huge, huge thank-yous to Jeff Fugelsang for creating the beautiful artwork, Gabriel Vizcarra for his awesome violin/viola performance, and Loudr for hosting it on their site! Download link is here, hope everyone enjoys!! 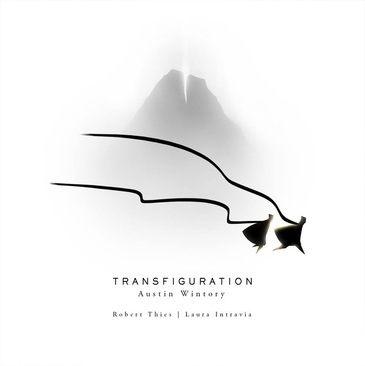 The Journey piano album “Transfiguration” is now available via Bandcamp and iTunes! 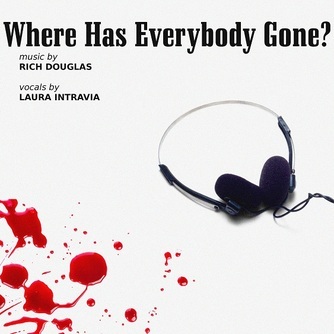 This album is a performance of the piano book published by Alfred Music in 2013; the performance features the fantastic pianist Robert Thies, with a Laura cameo on the last song! This was possibly the most challenging and rewarding project I've ever worked on—a huge thank you to Austin Wintory for inviting me to arrange the piano reductions! It is a tremendous gift to be given the chance to interpret such beautiful music, both on paper and in performance, and it simply would not have been possible without Austin supporting me every step of the way as I tried to tackle this deeply involved, incredibly detailed music for the piano. And of course a huge thank you to Robert, for bringing it to life with such passion and grace! The amount of color he pulls from the instrument is just amazing. Arranging for piano is only half of the process, it takes a true artist to breathe life into it and make it something special :) Lastly, a thank you to my good friend Robin Lai at John Marshall Media, who has recorded me several times for video game projects, and continues to do be one of my favorite people to work with! What an honor to work on this project with such super talented musicians...I hope everyone enjoys the album! It's here! 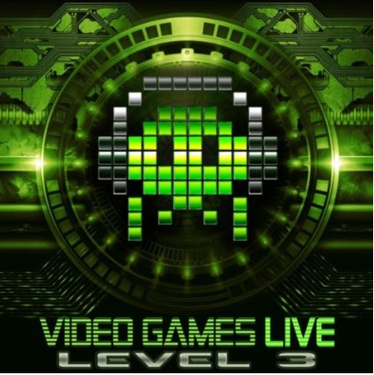 Video Games Live recently released their third album, featuring brand new tracks from a variety of classic and newer games. This was truly an international effort; the City of Prague Philharmonic Orchestra and Choir did a knock-out job recording all of the pieces under the baton of VGL conductor Emmanuel Fratianni, while myself and other solo musicians recorded our parts remotely from all over the world. It was super fun to record for a few of the tracks, including Chrono Cross "Scars of Time" and the Tetris Opera, and to have my own Zelda 25th Anniversary Overture featured on the album as well. I had originally arranged and orchestrated it for VGL in 2011, it's tremendously exciting to have it appear on this album. VGL: Level 3 is available at several sites, including Amazon, iTunes and Cdbaby. Hope everyone enjoys all of the pieces on this expansive and multi-faceted album, featuring the talents of so many great musicians!